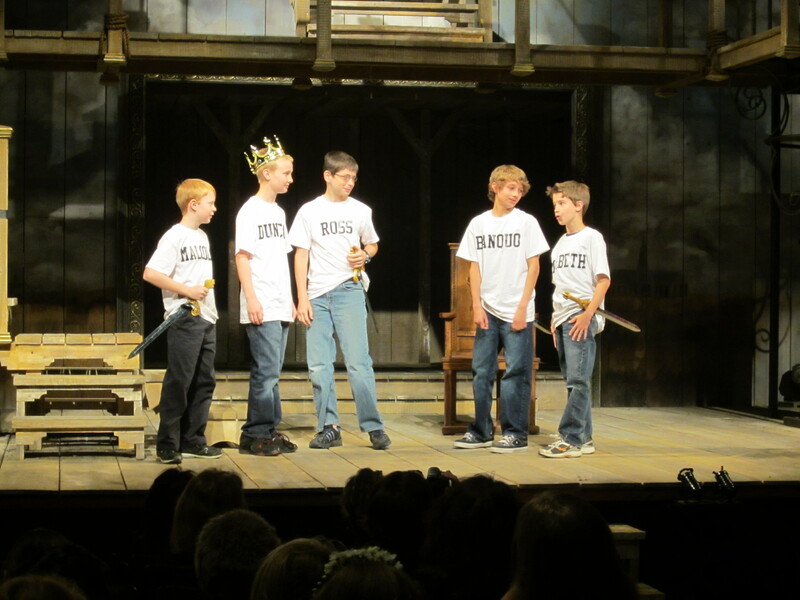 The benefit of exposing students to Shakespeare is paramount to establishing strong literary foundations in the classroom, for all learners, regardless of age and academic abilities. While I could give testimony of the many advantages to be gained by doing so, I would like to focus on one in particular, the ability of Shakespeare to serve as a metaphorical gateway drug to get students addicted to reading. 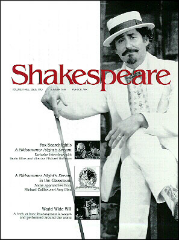 While I had known that allowing my young ELL (English Language Learner) students to participate in performance-based Shakespeare study would improve their developing language skills, and perhaps make them more critical evaluators of what they read; I had underestimated the stepping stone Shakespeare could provide to gain access to other challenging works of literature. My 5th and 6th grade ELL students had spent the first nine-weeks of the school year studying Hamlet, Macbeth, Romeo and Juliet, and A Midsummer Night’s Dream. While they were enjoying working with the plays, they also began to complain that they missed reading novels. They wanted something “hard” to challenge them, but I was struggling to find them something that would segue nicely from Shakespeare. Due to the extensive fantasy worlds woven into the plays my students had studied, I felt the mythology and adventure of J.R.R. Tolkien would suit them well. We proceeded to read The Hobbit during the month of December and I soon became aware of how well-prepared my students were for the challenging vocabulary, complex plot lines, and colorful characters, which are all signature trademarks of Shakespeare’s works. While my students were unconvinced that they would ever find another writer they would worship at the feet of like Master Will, they quickly grew to love Tolkien and reading about the adventures of Bilbo Baggins and his band of dwarves. Many of the themes and motifs present in the plays we studied were also found in the fantasy world of Middle-Earth. My students had no difficulty accepting the existence of fantastical creatures such as dragons, dwarves, hobbits, wizards, and elves when they had already been exposed to fairies, witches, and ghosts in MSND, Macbeth, and Hamlet. The rhythm of Tolkien’s language also required their ears to acclimate, as was also necessary to establishing the beat of iambic-pentameter. 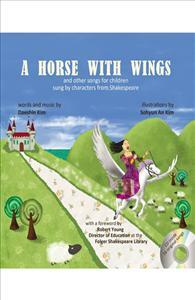 Challenging vocabulary was not intimidating to them as Shakespeare had taught them to have no fear of unknown words. While Shakespeare will always be their first love, my students are learning that their relationship with The Bard is not exclusive. There are many great writers out there worth reading and I believe that Shakespeare has given my students the courage to tackle each one with no trepidation. Always up for a challenge, my students have now chosen to take on a new literary task. They are attempting to read the entire Lord of the Rings by the end of the school year. For those of you who would like to follow along with our progress, we are chronicling our reading adventures on our recently-founded blog Teaching Tolkien. My students are completely hooked on reading and for that, I am eternally grateful, Master Shakespeare. There may be snow on the ground, but Spring is in the air at the Folger. As the Cherry Blossoms in Washington prepare to bloom, so do our local budding Bards as they prepare for the student festivals right around the corner. While the high school students will stomp the boards in just a couple of weeks at our annual Secondary School Festival, their younger comrades in the elementary grades will give them a run for their money in mid-May during our 34th Annual Children’s Festival. The work of all of these youngsters in their grappling of the text, their connections to the intricate characters and relationships in Shakespeare’s plays is sometimes inconceivable and without a doubt exciting. On the heels of our Children’s Festival is the equally exciting Conference on Teaching Shakespeare in the Elementary Classroom. So for all of those who would like to know what this work looks like, now is your chance to join the movement. We are excited to host both local and national educators as we experience the incredible work being done with primary level students and Shakespeare. As we share our stories, we’ll also experience and hear the stories behind two newly published books that should be welcomed additions to your Shakespeare for kids library. Internationally acclaimed playwright Ken Ludwig (Lend Me a Tenor, Crazy for You) joins us as our keynote speaker. Adding author to his long list of accomplishments, Ken will talk and give a demonstration from his newly published book How to Teach Your Children Shakespeare (available June 11). 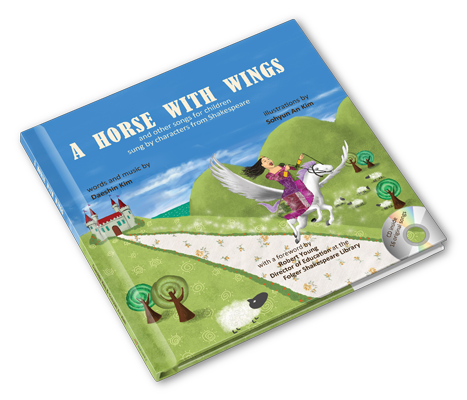 We’ll also be joined by Daeshin Kim, writer and composer of the picture book and CD, A Horse with Wings: Songs for Children Sung by Characters from Shakespeare. Hear about Daeshin’s journey to re-creating the stories of Shakespeare’s characters through music and the voice of a child. To see a full list of our conference presenters and to register, check out http://www.folger.edu/eec. I recently had the pleasure of working with 20 pre-service English teachers at Montana State University in beautiful Bozeman, MT. 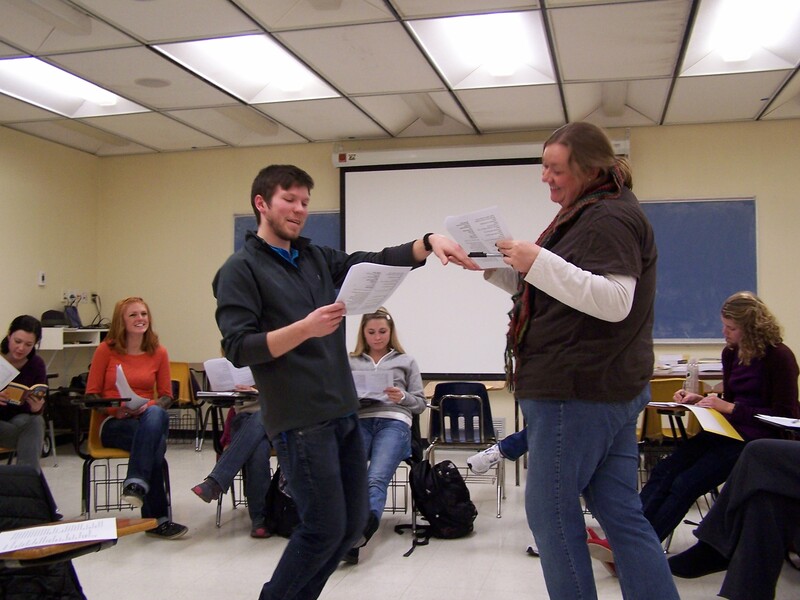 My purpose for working with the students was to discuss methods for teaching Shakespeare in secondary education. I should begin by saying that this is a topic near and dear to my heart because I had no idea how to teach Shakespeare to high school students for the six years I taught English in Northern New York. I wished dearly at the time that I had someone to enlighten me about teaching Shakespeare in a way that would actively engage my students. What to acknowledge or leave out, particularly regarding Shakespeare’s bawdy. We began by discussing Edward Rocklin’s idea of reading “as investigators” in his text Performance Approaches to Teaching Shakespeare. 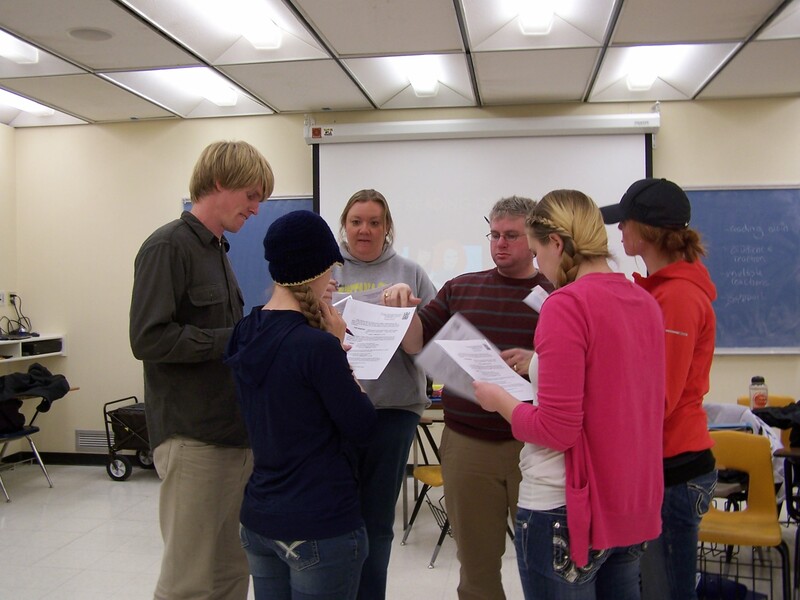 Specifically to go beyond the traditional ideas of identifying and discussing what the words in a text might mean, but to delve deeper and ask, “what do these words do?”, “what can these words be made to do?” and most powerfully, “what do these words make an actor make the audience do?” These are heady questions to pose when teaching Shakespeare. Taken together they bring out the important fact that Shakespeare’s texts are plays full of action, not static words pinned to the page. We then investigated tone, stress, and subtext in language. If you have attended a Folger Act I workshop at NCTE, you recognize the focus. (If you haven’t had the pleasure, I suggest you mark the session in next year’s catalog). Then we moved into some ice breakers with insults and compliments and 2-line scene cards, exploring the magic of the Shakespeare Set Free Toolkit. 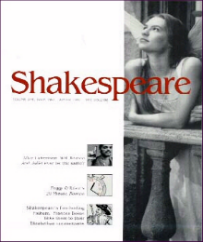 The investigation of Shakespeare continued with a close reading of Othello’s Act II, scene i using Michael Tolaydo’s “Up on Your Feet with Shakespeare” found in Volume 3 of Shakespeare Set Free. As we read, reread, discussed and debated the text, the students wrote notes on the board to support their investigation of who the characters in the scene were, the relation between the characters, the location of the scene, and what the characters were doing. The students were amazed at how easily they understood what was going on in the text without having had any background for the play provided. The level of close reading brought on by performing the lines was far greater than any read-from-your-seat analysis they had experienced in their own Shakespeare instruction. Before I set them to the task of teaching their own performance-based lessons I shared one of the 15 minute plays from the Toolkit’s zip drive. 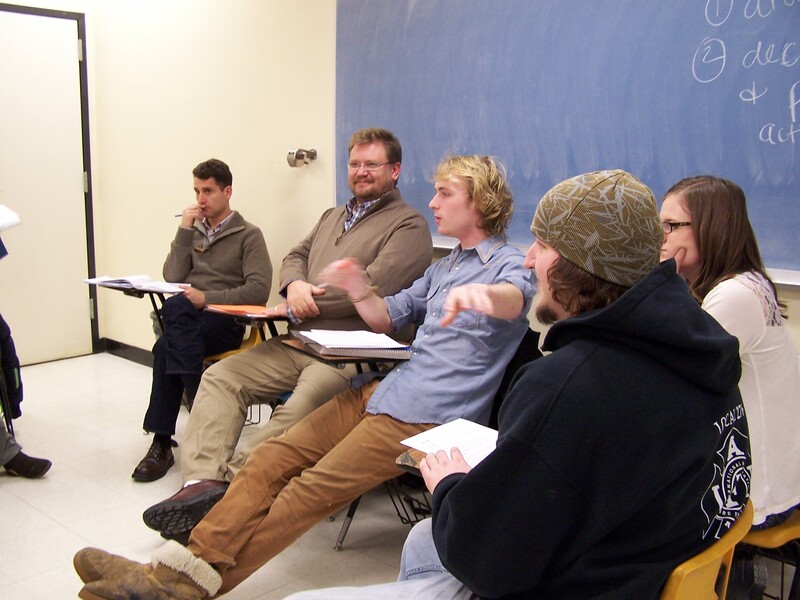 The students couldn’t stop talking about the applications for the 15 minute Henry IV, part I. We discussed how easy it would be for them to recreate the 15 minute process with any play they would teach to their students. (Many students shared that this was one of their favorites from the three-day workshop). Finally, I put the students in groups to do the most important work of all: teach a Shakespeare lesson through performance to their peers. Students worked in groups of 5 to prepare a performance-based lesson from the Twelfth Night Unit Calendar also found in Volume 3 of Shakespeare Set Free. Each group had their own lesson to teach to the class. In my opinion, this practice was the most meaningful exercise I could have students do for it is when we do a task ourselves that we achieve the confidence to repeat the process. It is not enough to tell our future teachers to use performance; it is not enough to show them performance; if they are to have the confidence to use performance in their own classrooms with their own students, our pre-service students must experience the performance for themselves and they must be given the opportunity to teach through performance. As for me, my love of all things Shakespeare grows with every new experience. I will continue to make Shakespeare three-dimensional for any student in any classroom where I am lucky enough to be a part. After teaching high school English for six years in Northern New York, Danette moved to Bozeman, MT where she is currently a Pre-Service Practicum Instructor and Supervisor of Teacher Candidates at Montana State University in Bozeman, MT. She is an alumnus of the Folger TSI 2010 and had the honor of presenting in a Folger strand at NCTE 2011. She earned her Master of Arts in English at Montana State University and her Master of Science in Teaching English from SUNY Potsdam in Potsdam, NY. Though her friends think she may be crazy, she soon intends to pursue an Ed.D in Education.